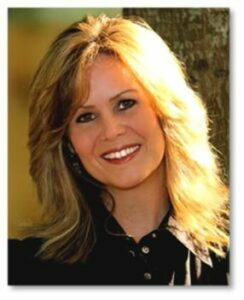 I met Stephanie Shott three years ago at a conference while I felt left out and discouraged she encouraged me. Now we do ministry together through the ministry she founded The M.O.M. Initiative. I am blessed to know Stephanie and I know her words will bless you. In my mind I’m able to leap tall buildings with a single bound; I can run marathons and still do cartwheels and backbends, but in reality I’ve become quite the wimp. I wasn’t always like this. There was a time when I was known as the neighborhood tomboy. Every afternoon we’d meet in the local field and play softball, football, soccer, dodgeball and kickball. When we played softball, dodgeball and kickball, I gave those boys a run for their money…but football…now that’s another story. My football skills left little to be desired and everyone knew it. I wasn’t any better at soccer, either. When it was time to pick teams, I was always the last one standing. It was frustrating and humiliating. It left me broken and feeling “less than.” No one wanted me and what was worse is that I wouldn’t have chosen me either. Have you ever felt like the odd girl out…the fifth wheel…the forgotten…the invisible? It’s a painfully lonely place to be, but priceless lessons lie deep beneath the surface of each rejection. No one wants to be left out, but it’s just part of life. As I read the story of Joseph and Matthias in Acts 1, I was reminded of the many times I felt left out when someone else was chosen instead of me. The Bible says the disciples cast lots to see who the Lord would choose to take Judas’ place as one of the twelve. It fulfilled scripture, but it had to leave Joseph feeling less than fulfilled. What was it that the Lord saw in him that made him “unworthy”? Wasn’t he good enough? Was there a secret sin? Did pride plague his heart? Was God protecting him from circumstances he wasn’t ready for? What would the others think of him? How could he face them knowing the Lord had chosen someone else for the job instead of him? So many questions, yet we are left with absolutely no answers. We can only assume how he may have felt. Tradition tells us that Joseph, a/k/a Barsabbas (son of the Sabbath), a/k/a Justus, went on to become Bishop of Eleutheropolis, where he died a martyr. He may have come in second to Matthias, but he came in ahead of the other 100 or so that were in the room. And if tradition holds true, his rejection was just a bump in the road on his way to faithfully following the Lord and serving the church of Christ in Eleutheropolis. We all face rejection. We all feel left out at some time or another. But rejection is not failure…it’s not the end. Perhaps the “no” you face today is a necessary step to the bigger “yes” you will hear tomorrow. The question is, how can we make the most of those times when we ae passed over for someone else? 1. Take an Honest Evaluation of Yourself – Is there an obvious reason you were passed by? Are you qualified to fulfill the position? Are you ready for the consequences (good or bad) that are sure to come if you were chosen? Can you handle the success, the position, the platform? Are there skills you need to hone before you are placed in that coveted position? 2. Analyze Your Motives – Why do you want to be chosen? Are you willing to be humble? To die to self? To put others first? Are you trying to make a name for yourself or trying to make HIS name known? 3. Think of Others – When someone else is chosen instead of you, perhaps it is for their good. Maybe the Lord sees the need of their heart and has blessed them with a heavenly “yes”. It’s possible that they were chosen to minister to others in their sphere of influence. Be happy for them. Support them. Let others know you esteem them better than you esteem yourself. 4. Trust God & Rest – God is God, and we are not. He knows all; He sees all. There is nothing that escapes His view, no heart that He does not see, no pain that He is unaware of, no promotion that He does not ordain or allow. Therefore, we can rest in the His sovereignty and trust that if we will humble ourselves under the mighty hand of God…in due time, He will lift us up. Maybe not where we think, maybe not where we plan…but He will lift us up. He promises. So in the meantime, trust God and rest in the fact that He filters every event in our lives through His loving hands. 5. Keep Going – Don’t give up. Although not every door is ours to walk through, we all have been given doors with our name on it. As we seek to know the Lord more, we will come to know His will more. William Carey once said, “Attempt great things for God, expect great thing from God.” In his attempts to reach India for Christ, William Carey lost his son, his wife, and years of Bible translation for the Indian people when his house burned down…twice! His mission board was against him, his fellow pastors thought he was wasting his time. Yet, when he died at 73 (1834), he had seen the Scriptures translated and printed into forty languages, he had been a college professor, and had founded a college at Serampore. He had seen India open its doors to missionaries, he had seen the edict passed prohibiting sati (burning widows on the funeral pyres of their dead husbands), and he had seen converts for Christ. So, keep going! The Lord isn’t through with you yet. How about you? How do you handle rejection? Share your story and what you learned from your “no”. Stephanie Shott is founder and author of The M.O.M. Initiative. She is a pastor’s wife, mom of two adult sons, abuela (grandma), writer, speaker and Bible teacher who loves Jesus like crazy and loves ministering to the hearts of women. After a decade of childhood abuse and years of wandering in the wilderness of foolish choices, Jesus reached down and saved this girl with a bad past and a bleak future. Now she uses her places of pain as a platform of praise as she leads women to trust God in troubled times and live a life of significance. Along with her husband, she has served as a missionary in Costa Rica as well as pioneered an ongoing ministry to the Guaymi Indians of Panama. She loves God, she loves her family and she loves all forms of women’s ministry. You can find out more about her or book her for your next event by visiting www.stephanieshott.com. This entry was posted in Rethinking Christian Life and tagged Joseph, Left, rejection. Bookmark the permalink. Yup. Been there. Felt left out. But I go on and walk beside my partner, the Lord. And it’s okay. Such great points as always, Stephanie. Loved this! Thank you!